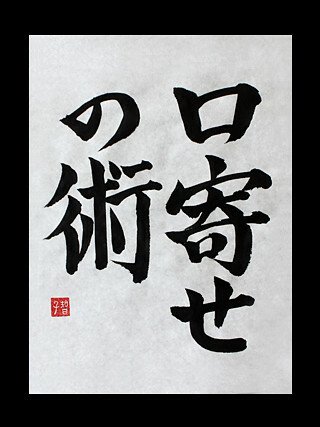 I wrote “Kuchiyose-no-Jutsu”. It means “The Atr of Summoning” in English. Naruto Uzumaki, Jiraiya and more ninja can use this technique in NARUTO. Naruto Uzumaki uses this technique to summon frogs.